Saints Peter and Paul was established in 1915, and the first Divine Liturgy was served on December 25th of that year. Fr. 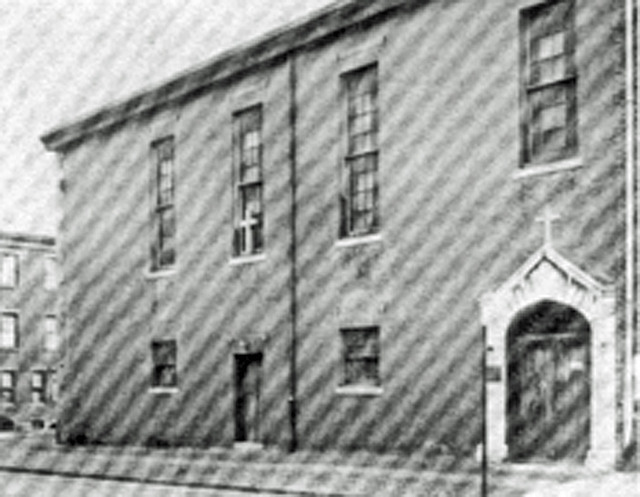 Naum Cere was the priest appointed to serve and the building was a rented facility at 4th and Sharswood Streets. 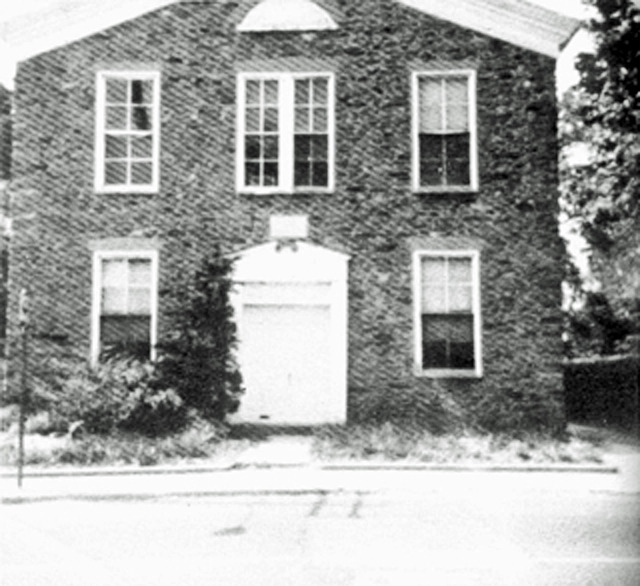 Three years later, the community had gathered enough funds to purchase the church building at Hancock and Oxford Streets. The new building was renovated by the parishioners and was consecrated on January 12th, 1919 by then Archimandrite Theofan S. Noli. Fr. Marko Kondili served the parish from that time until 1928. Fr. George Suli endured the sacrifices of the Great Depression with the parish. Then Fr. Nikolla Prifti served the parish from 1934 until his falling asleep in 1941. From 1943 through the difficult years of the Second World War, the parish flock was tended by Fr. Christo Costa. In the postwar years, the parish was cared for by Fr. Haralamp Dode, Fr. Costa Belba, and Fr. Diogen Econom. In 1949, another transition took place. Our choir began to sing the responses in English thanks to the publication of the translation of then Bishop Theophan Noli. Fr. Stephen Lasko was ordained to the priesthood in June 1949 by Bishop Noli and served the parish from 1951 to 1955. He was followed by Fr. Constantine Noni, formerly the Abbot of the Monastery of Kalishti, Albania. Many of our parishioners received the sacrament of marriage or baptism through Fr. Noni. Under the care of Fr. Vangel Avgerinos, who served from 1958 to 1961, the parish made further progress using English as the language of the Liturgy and of the Gospel. From 1961 until 1964, the pastor was Fr. Ernest Tsonis. Fr. Tsonis was one of the first of the American-born clergy, and was the first to use the Theological Fund for his seminary studies at St. Vladimir's in New York. Fr. Gregory Fontaine served the parish from 1964 to 1969. The following year, Hieromonk Fr. Roman Serdynski came to serve SS. Peter and Paul. He had returned to Philadelphia for treatment of a kidney ailment. Fr. Roman planted the seed to search for a new parish building in Northeast Philadelphia. During Fr. Roman's extended grave illness, and after his falling asleep in September, 1974, Fr. Basil Horsky served the parish. Fr. Basil was retired, but came to serve with saintly humility and great love. Shortly after celebrating his 80th birthday at the parish, he served the last Liturgy of his life with us. It was then that Fr. John Rachko came to us. He traveled 62 miles each way from Bethlehem, PA, to serve the parish. Through his spiritual care and fatherly guidance, the parish finally achieved the goal of relocating to a new church facility. Once again, the parishioners gave of their time, efforts, talents, and finances to make the needed renovations. At the untimely falling asleep of Fr. Antony, the parish was blessed to be served by Fr. George Gregory, who had just retired. He, too, came for a period of months, and stayed for five years. And he too traveled a considerable distance, often when a more cautious man would not have come. 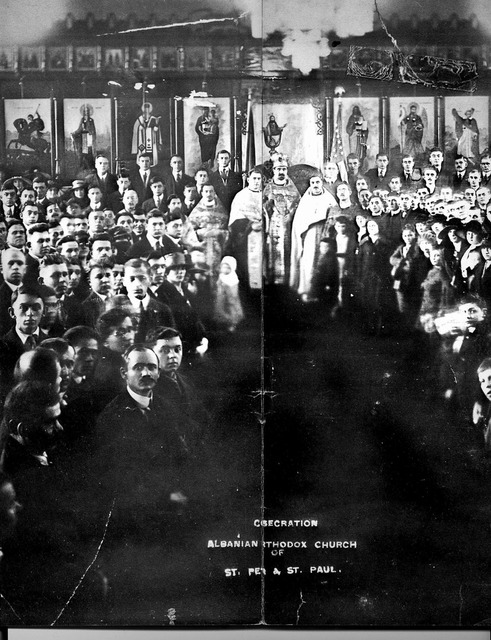 Through his steadfastness the unity and stability of the parish was maintained. As Fr. George had so graciously agreed, when a priest became available for permanent appointment, he returned to retirement. We received a great gift in the person of Fr. Stephen Siniari. Baptized at SS. Peter and Paul, his spiritual journey has been an extended and mission-oriented one. While Fr. Stephen continued his work of ministering to the needs of the poor and homeless, we rejoice at the work of the Lord in bringing Fr. Stephen and Prifteresha Margot home to us. Fr. Stephen suffered a massive heart attack on Oct. 26, 2012 and eventually had to reassess his capacity to serve while Fr. Gregory Hal DuDash assigned in retirement to the altar since 2000 stepped up to make the offering on a regular basis. While Fr. Stephen did return to full-time service he decided to retire in 2014 and moved to Florida. Fr. Gregory DuDash servied as the rector through most of 2015 while working with the council to identify candidates for the pastorate. In December 2015 Rev. Nicholas Dellermann was assigned as rector of SS. Peter and Paul. Along with Prifteresha Katie and his six children he has made a strong presence with his powerful voice and passion for the faith. We look forward to his pastoral guidance for many years. We have learned from each of our priests. and have taught us to care for our fellow man.